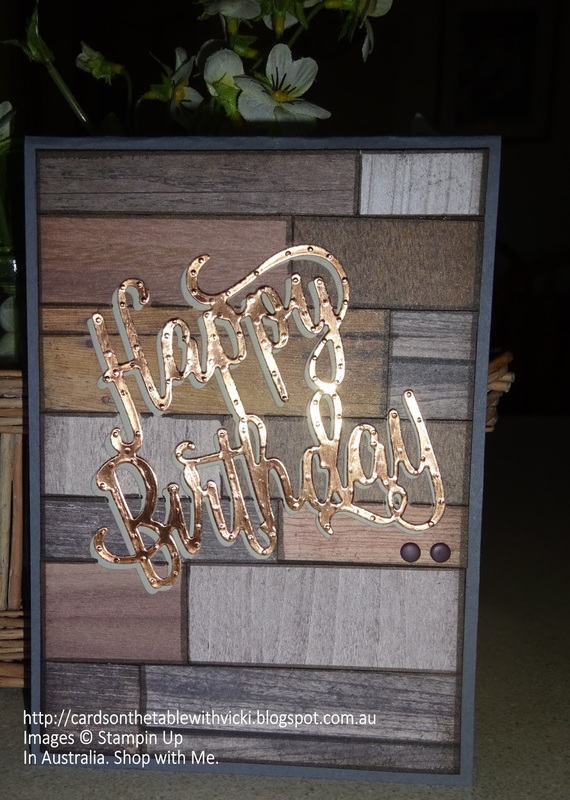 This is a nice card to make using the fabulous Wood Textures paper stack, and no stamping at all. 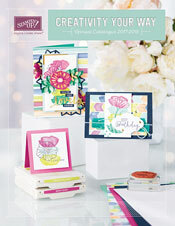 Start with a piece of whisper white cardstock 10cm x 14cm. 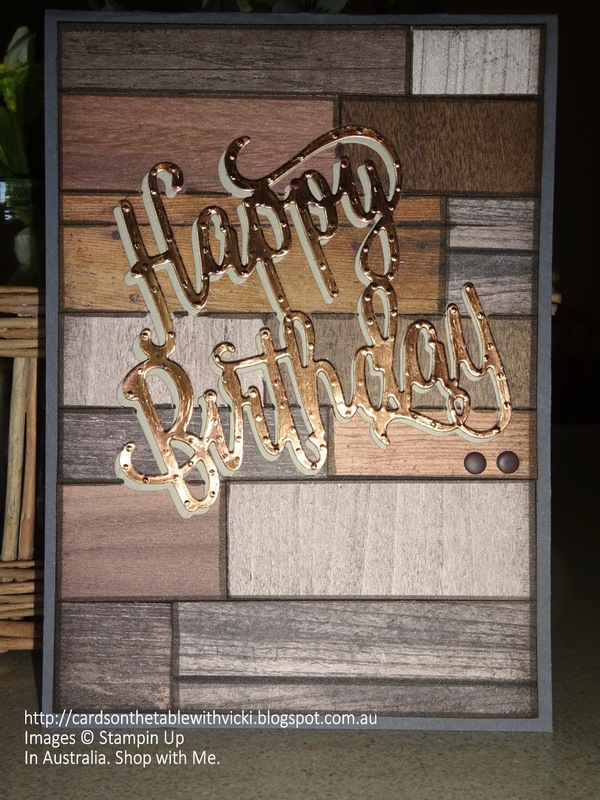 Cut strips of the wood textures paper into 3 different widths. (you will need about three or four of each - remembering that there are two sides to each piece of dsp). 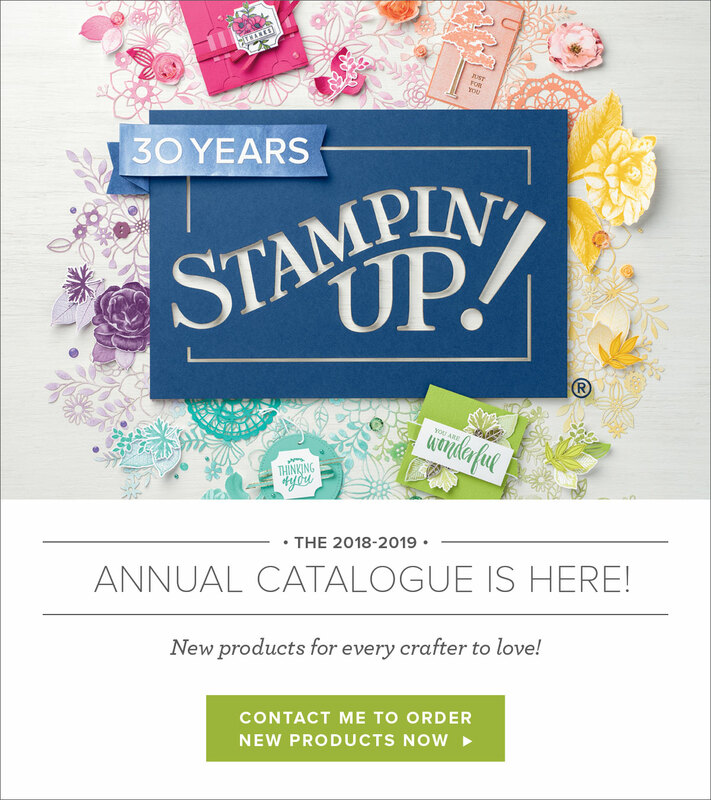 Cut a length shorter than your whisper white card. Glue down. Then add another piece to the end and trim off the excess from the back of the whisper white card. Now you have your first line. 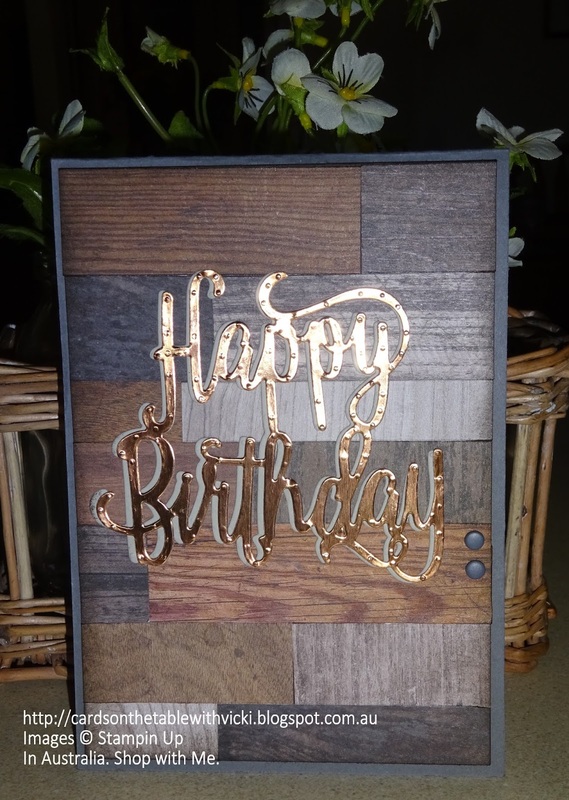 Continue cutting and gluing different lengths until you get to the end. Here is the combination I used for different widths. 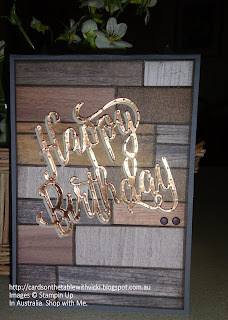 I have added a double layer of Happy Birthday thinlits in Sahara Sand and Copper Foil. 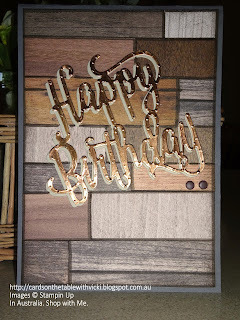 I used my Sizzex Adhesive Sheets with them to make it easier to attach them. 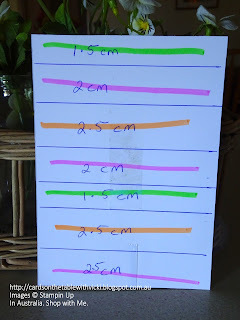 This is a great idea for all your detailed thinlits. So I decided to make another one the right way round. 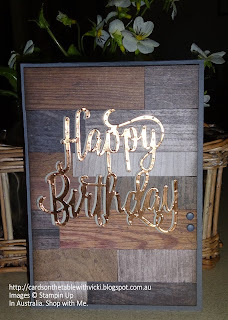 This time I had a little gap between one of the papers and thought I would hide it by drawing lines around each of my wood pieces using Early Expresso Marker. I actually think I like it better. What do you think? Something you might not know about me is that I just LOVE taking photos of nature and wildlife, particularly birds. I love the challenge of getting a good clear photo of them while they flit and dart and dive around the trees and bushes. These birds are only small honeyeaters and finches. No more than 3 - 4 inches long. I thought I would share a couple of shots I took last week.